SINGAPORE, 26 August 2015 – Singapore Changi Airport handled some 4.89 million passenger movements in July 2015, an uplift of 6.8% from last year, registering the highest year-on-year growth in monthly passenger traffic so far this year. In tandem, flight movements rose 4.3% to 29,400. During the month, 147,500 tonnes of airfreight were processed at Changi, a 4.8% decrease on-year. The growth in passenger traffic was supported by traffic growth across most regions with all of Changi Airport’s top 10 country markets registering increases. These were Indonesia, Malaysia, China, Australia, Thailand, Hong Kong, India, Japan, Vietnam and the Philippines. Traffic to and from Korea however declined 7% during the month compared to a year ago. As at 1 August 2015, more than 100 airlines operate at Changi Airport, connecting Singapore to some 320 cities in about 80 countries and territories worldwide. With more than 6,600 weekly scheduled flights, an aircraft takes off or lands at Changi roughly once every 90 seconds. 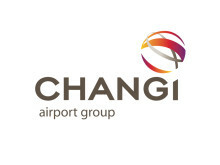 New Services – Changi saw three new airlines establishing regional services to and from Singapore. Batik Air (IATA: ID) introduced a twice daily Jakarta – Singapore service on 14 August. Batik Air is the ninth carrier to ply this route. Thai Lion Air (IATA: SL) launched a daily Bangkok-Don Mueang – Singapore service on 15 August. On 17 August, Myanmar National Airlines (IATA: UB) became the sixth operator for the Singapore – Yangon route, flying six times a week. From 22 July, Garuda Indonesia rerouted three of its six weekly Jakarta – Amsterdam services to a Jakarta – Singapore – Amsterdam – Jakarta circular routing. Garuda is the third airline operating this sector, along with Singapore Airlines and KLM. Singapore Airlines has also increased the frequency for its Singapore – Sydney service from 28x to 31x weekly from 30 July. New Stores – Shopaholics are in for a treat this month as Spanish brand Zara has opened its first double-storey airport store in Terminal 3, offering its popular range of apparel tax-free. Over in the public areas, Poh Kim DVD has opened its newest outlet in Terminal 3 Basement 2, where visitors can grab DVDs of the latest Hollywood blockbusters or Korean drama series. In Terminal 2, technophiles will be delighted to find the newly opened eGadgets Mini where they can get their hands on the latest cameras, mobile devices and tech accessories. Changi Airport is the world's seventh busiest airport for international traffic. It served a record 54.1 million passengers from around the globe in 2014. More than 350 retail stores and 160 F&B outlets are situated across three terminals to cater to passengers and visitors. 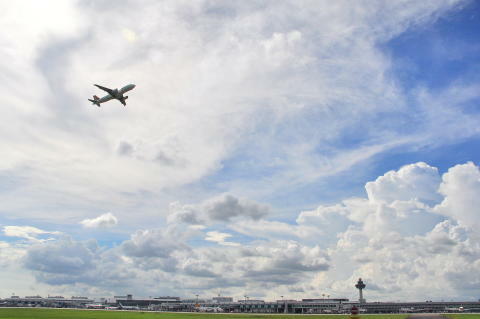 With over 100 airlines providing connectivity to 320 cities worldwide, Changi Airport handles about 6,600 flights every week, or about one every 90 seconds.